Back in May, I read Three Little Words and From the Start by Melissa Tagg and enjoyed her writing so much that I signed up to receive email updates from her, which are just as humorous as her books. 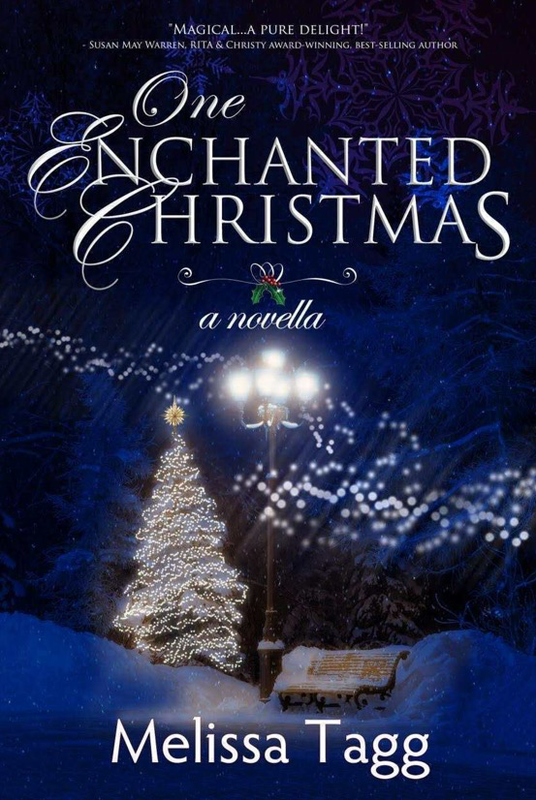 Because of those emails, I was able to download One Enchanted Christmas, an e-novella by Melissa Tagg, on the day it released, which was just two days ago. I finished reading this humorous and romantic story last night and wanted to let you know that you too can download it for only 99 cents right now on Amazon. The entertainment is definitely worth a dollar! Maren Grant is an author who is infatuated with her main character and then gets to meet the cover model for her book, who looks amazingly like the character she had created in her mind/book. 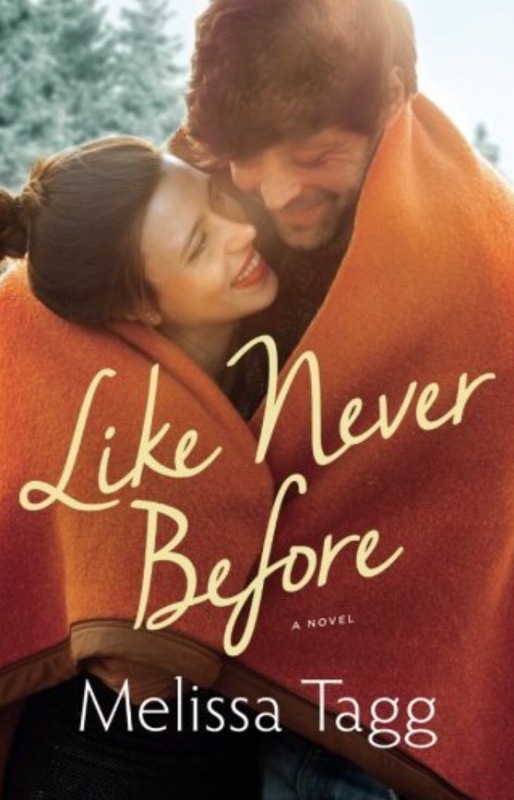 What happens a year after their “enchanted” night out takes Maren on an unexpected journey that is both humorous and heartwarming. This is a wonderful book to read during this Christmas season. Melissa Tagg is a “total Iowa girl”, according to her bio, and most of her books are set in Iowa. If you are from Iowa or live there now, you’ll definitely enjoy Tagg’s books. Awhile back, I reviewed Made to Last by Melissa Tagg and jumped at the chance to review her latest novel. She has also written a novella that is the prequel to this first book in her Walker Family series, and the e-novella is available for free as a digital download from Bethany House Publishers or on Amazon. It isn’t necessary to read the novella first, but it’s a great, short love story. 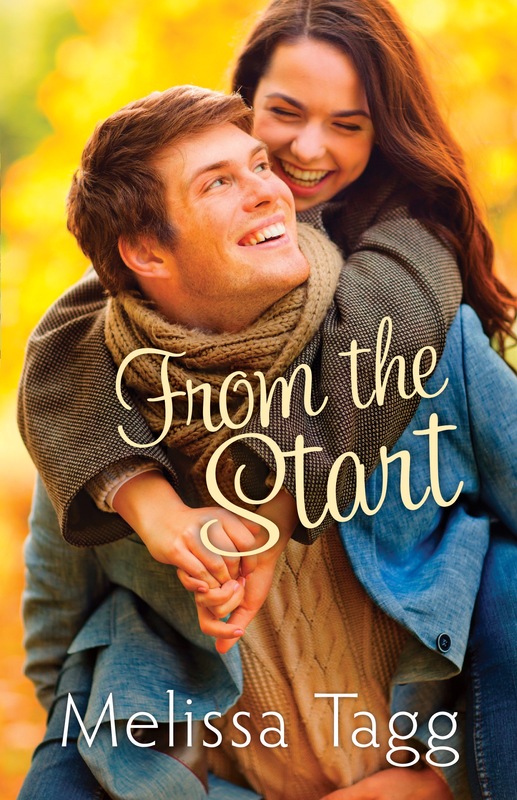 From the Start is a delightful romantic comedy set mostly in Iowa. Melissa Tagg knows how important good dialogue is between the characters, and she incorporates just the right amount of wit, history, humor, and truth. The characters are realistic with flaws and insecurities, and they don’t always say and do the right things, but they trust God to direct their paths. Colton Greene is a former NFL quarterback who is trying to figure out what he is supposed to do now that an injury has forced him to retire early. Colton is under contract to write a book about his life, but he doesn’t remember the most devastating thing that happened to him and doesn’t want to discuss it with a writer. In the process of helping his friend Logan Walker, he meets Logan’s sister Kate, who just happens to be a writer. Kate Walker is tired of writing romance scripts and wants to do something meaningful with her writing. She receives an offer but needs money to pay for her travel. She agrees to write Colton’s book even though she knows nothing about football. In the process, she learns a great deal about the game and the player. From the Start is a great book, filled with romance, humor, mystery, and a little suspense. I highly recommend it. I received this book for free from Bethany House Publishers in exchange for an honest review. These opinions are my own and are not influenced by the publisher.